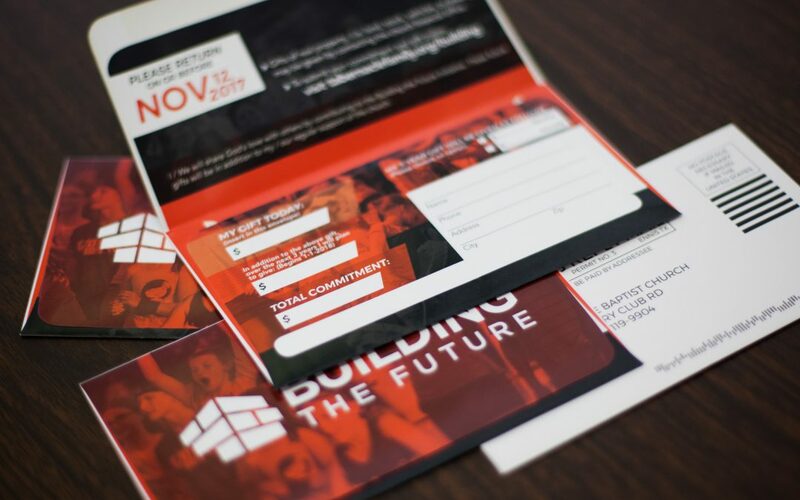 On Sunday, November 12th, 2018, we had our Commitment Sunday where we asked our families to consider giving a one-time gift along with making a 3-year commitment to financially support our Building the Future initiative. Our goal was to raise $1.5 million. The cost of the building would be an estimated $3.5 million, but $1.5 million would allow us to comfortably begin the project. In the short time leading up to (and including) this day, we received around $295,000 in gifts, and by the end of the commitment period, we had $1.1 million commited. Although we didn’t reach our goal, this gave us enough to move forward.